In my long association with boxing, I don’t think I have come across a fighter who divides opinion so much as Deontay Wilder. There are many pundits who normally I nearly always agree with, who think Wilder is a paper champion who will lose to the first decent fighter he faces, and there are equally as many who think he is by far the best heavyweight around today. Wilder himself thinks he would have beaten a peak, Mike Tyson, nobody will ever be able to prove that theory wrong even if many think his claim is seriously misplaced. So just how good is Wilder. In his amateur career Wilder boxed at the 2008 Olympics and won a bronze medal, so there is definite pedigree there. Wilder 32 with a record of 40-0, 39 of those wins inside the scheduled distance. Bermane Stiverne the only man to take Wilder the distance was brutally dispatched inside a round in their rematch in November last year. 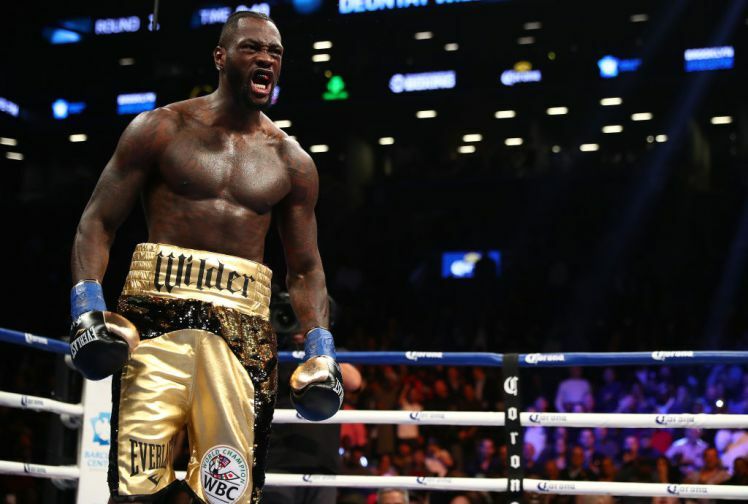 Many suggest Wilder has built that seemingly impressive record on beating low calibre opposition, Luis Ortiz his most recent opponent was his toughest test so far. Looking at the IBO top ranked 100 heavyweights, Ortiz is ranked number 2, Johann Duhaupas ranks at number 11, Stiverne a lowly 21, Artur Szpilka even lower at 24 and Eric Molina is at 25, are the highest ranked of recent Wilder opponents. To compare that with Anthony Joshua, 3 of Joshua’s opponents are in the top 10 of the same rankings, so there is an obvious difference in quality if the list is to be believed. Critics of Wilder also point to his style, specifically how he throws his punches, the windmill bowling like effect, and again they are justified criticisms, his style does need some refinement, but to be fair to Wilder he gets the job done, at least so far. But will he get away with that if he faces Joshua, time will tell of course. The flaws in his game are there for all to see, and the opponents do leave a lot to be desired, but Wilder still needs to be respected, he is still unbeaten and when he faces Joshua, we will get to see just how good he really is, at the moment though the jury is still very much out.